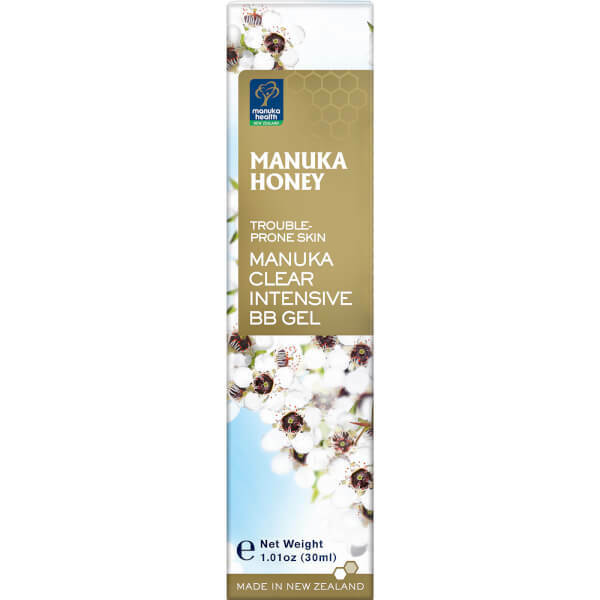 Treat acne prone skin with the Manuka Health MGO 600+ ManukaClear Intensive Clear Gel. The breakthrough formula is developed to smooth skin texture and maintain visibly healthier skin. The gel does not contain water but instead has a base of MGO™ 600+ Manuka Honey with incredibly high levels of methylglyoxal. The natural formula works to restore a visibly healthy complexion and is ideal for sensitive, trouble prone skin. No animal testing, parabens or mineral oils. Problem skin: Clean and dry the skin before application. Apply daily to affected areas for 30-60 minutes then rinse gently with warm water. Healthy skin: Apply to clean and dry skin for 30-60 minutes then rinse gently with warm water. For better skin moisturising results repeat the application twice a week.